MTH Tool Company began in 1965 developing regenerative turbine pump technology. 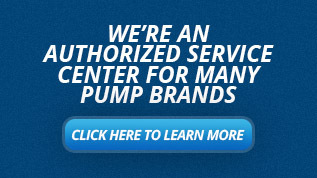 MTH pumps have first class performance, high reliability, and low cost, while servicing customers in a timely and professional manner. 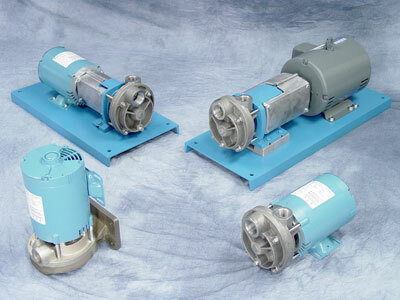 MTH has the most comprehensive line of regenerative turbine pumps of any manufacturer. Manufactured in Plano, IL with state-of-the-art computer controlled machining equipment, MTH pumps are consistent, reliable, and high quality products that have dependable performance and long low maintenance operating life. MTH is focused on providing exceptional quality, value, and service by giving special attention to their products from concept to delivery. MTH Pumps is a commercial and industrial pump manufacturer serving a wide variety of markets and industries including boiler feed, condensate return, chillers/temperature controllers, water services, refrigeration, petroleum, as well as many chemical process applications. Their Standard Product line include mechanically sealed regenerative turbines for low flow, high pressure, applications as well as two lines of small centrifugal pumps. Custom engineered products include sealless canned versions of the turbine product lines as well as a large line of sealless canned centrifugal pumps. With the largest product lines in industry for their pumps, MTH is your go to source for regenerative turbine and sealless canned pump products. The MTH P31 and T31 Series are regenerative turbine pumps with an adjustable casing to provide variable performance output or readjustment of worn internal clearances to extend service life. The design is compact, able to fit a 36 Frame UL and CE approved motors as well as the dual face D3 motor, and can fit into tight enclosures. The standard casing is stainless steel with a bronze impeller but all stainless steel is also available. Built in relief valves are also available. The MTH E41 and E51 are close coupled regenerative turbine pumps with the custom dual face D3 motor with a 304 stainless shaft and heavy-duty bearings. Standard construction includes a bronze impeller, a carbon/ceramic seal, and BUNA elastomers. Options include all iron, all bronze, and 316 stainless constructions and special seal materials, elastomers, and internal seal flush. The MTH M50 and L50 Series regenerative turbine pumps are multi-stage versions of the T51 series made for low flow at high pressure applications. They can be close coupled, vertical base mount and horizontal pedestal base mounted configurations. The low NPSHr centrifugal inducer stage can help feed the stages when the fluid vapor pressure is low. Standard construction is hard electroless nickel plated cast iron and bronze fitted. A flush line is also standard on the multi-stage pumps. Options include various metal constructions and o-ring materials. The MTH 100 and 200 Series regenerative turbine pumps are multi-stage radially split foot mounted pumps. They feature 1750 RPM motors, which extend life and increase efficiency performance with NPSHr as low as 1 foot. The Multi-vane turbine impellers handle entrained vapors to help reduce the possibility of vapor lock in boiler feed, water, ammonia, and other refrigerant services. Standard construction is cast iron bronze fitted with other material options available. 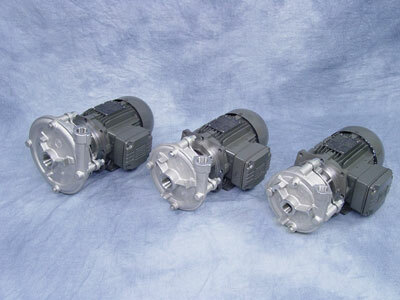 The MTH C series Pumps are stainless steel centrifugal pumps with semi-open heavy duty cast impellers and case design. Each impeller is trimmed to maximize efficiency with the motor combination for an application. The impeller and casing can be adjusted to tighten internal clearances to maintain pump performance during normal wear. The MTH D series Pumps are cast iron bronze fitted or all bronze centrifugal pumps with a closed impeller. Each impeller is trimmed to maximize efficiency with the motor combination for an application. Some models are self-priming. The back end can be pulled out without disturbing the wet end making maintenance easy. MTH also offers a variety of custom engineered sealless canned regenerative turbine and centrifugal pumps to fit precisely the needs of an application. A customer’s equipment can be brought in-house and tested in a simulated environment. MTH has been very successful at producing and selling custom engineered products at a cost less than that of commonly available standard pumps. Some types include immersible pumps, brushless pumps, and leak free pumps.